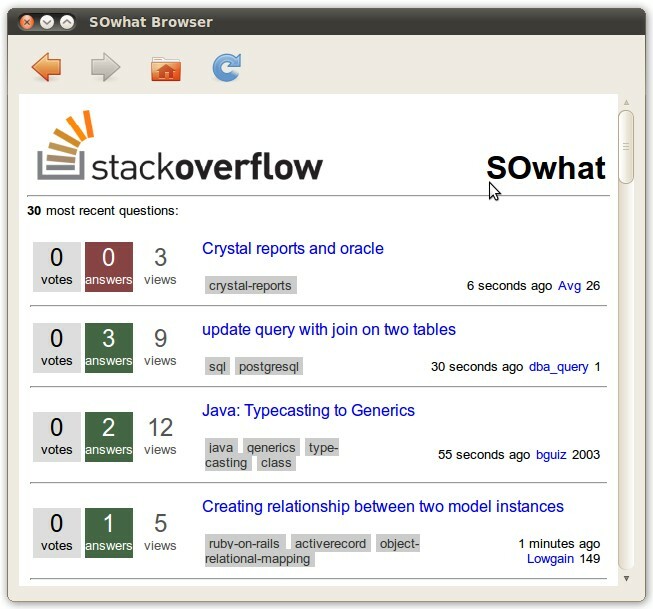 SOwhat is a Qt-based application that attempts to mimic the Stack Overflow website. SOwhat is released under the MIT license. Any platform supported by Qt. Browse other questions tagged app qt c++ .